Do "Game Boosters" improve PC gaming performance? 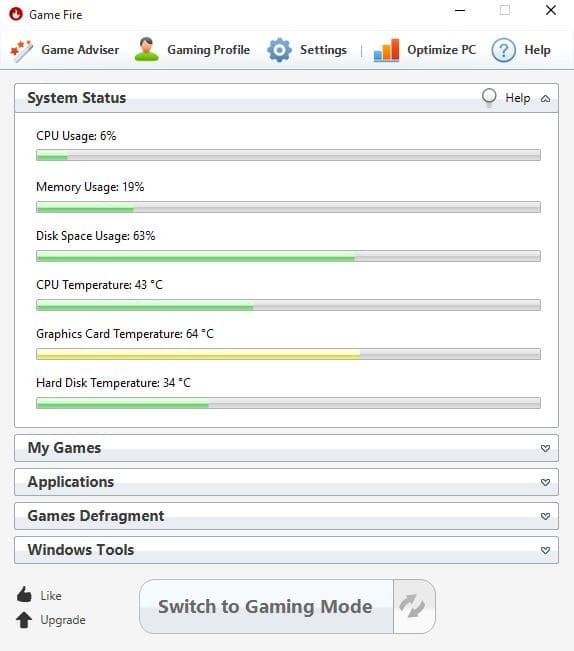 So called Game Boosters are designed to improve PC gaming performance by limiting background operations when PC games are played on a computer running Windows. The core idea is to kill services, processes, background tasks and programs that are not required to run the game or the operating system to free up RAM, reduce CPU load and disk activity. Most programs allow you to switch between game mode and normal mode with the press of a button, and some even recognize games automatically which makes things even more comfortable. The question we are going to answer is if running Game Booster software has a positive effect on a PC game's performance or if the gain is negligible or even counterproductive. 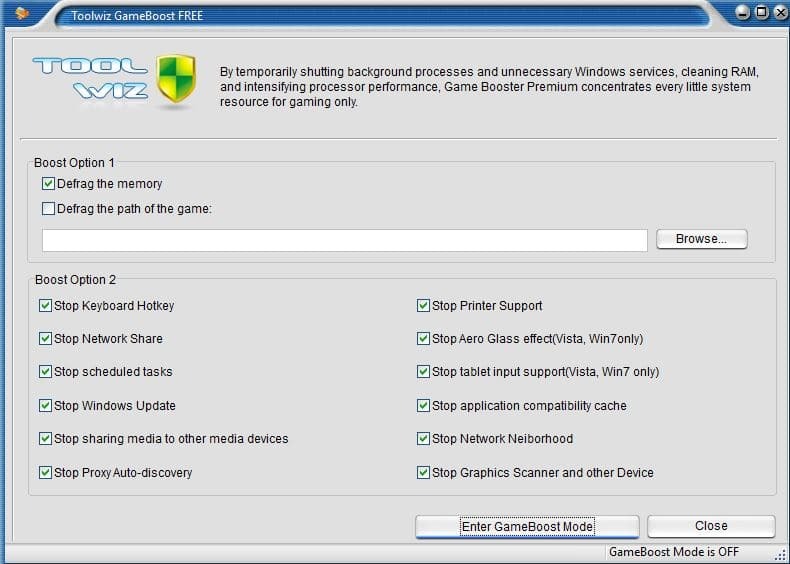 Game Fire 4 uses a profile system that determines which services, background processes, features and programs are stopped when game mode is enabled. You need to make that decision as it does not ship with a default profile. A long list of features can be disabled including network access and sharing, Windows Search, visual effects or Windows Defender. In addition to that, it supports the termination of custom services and applications that you need to specify for each profile you configure. 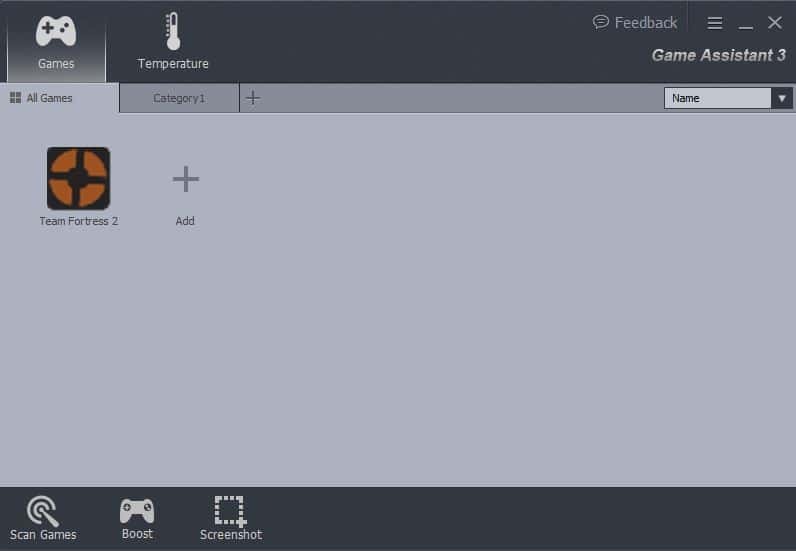 Game Fire 4 displays a list of applications and services that you can terminate when you enter game mode. Other features that it supports are game defragmentation and quick access to Windows tools such as Memory Diagnostics or the Performance Monitor. The program scans the system for installed PC games and displays those in its interface. It supports custom games as well as you can add those to the list of games. Game Assistant supports an automated mode that cleans RAM when enabled. Instead of using that mode, you may select processes manually that you want closed to free up RAM on the system. Since it seems to do nothing else than stop processes and free up RAM, it may even be less effective than other boosters especially if the system has plenty of RAM. Game Booster requires that you create an account before you can run the program. It scans the system for installed games and displays them in its interface. The program uses a recommended boost by default but provides you with the means to customize the boosting. It lists plenty of options to do so, from terminating processes and services to tweaks that you can apply to the system. The program ships with a couple of additional options like synchronizing save games using cloud services or video capture. The program is as simple as it gets. It displays several boost options on start, for instance to stop scheduled tasks or network shares while in GameBoost Mode. Since all options are selected by default, it is only a matter of enabling game mode in the program to get started. It lacks advanced features like disabling services or terminating processes that other programs in this test support. The program offers to scan the local system for games on start. While it did so, it did not find any installed games on the system even though some were installed. It features an optimize all button that runs optimization tasks on services, processes and the system itself. 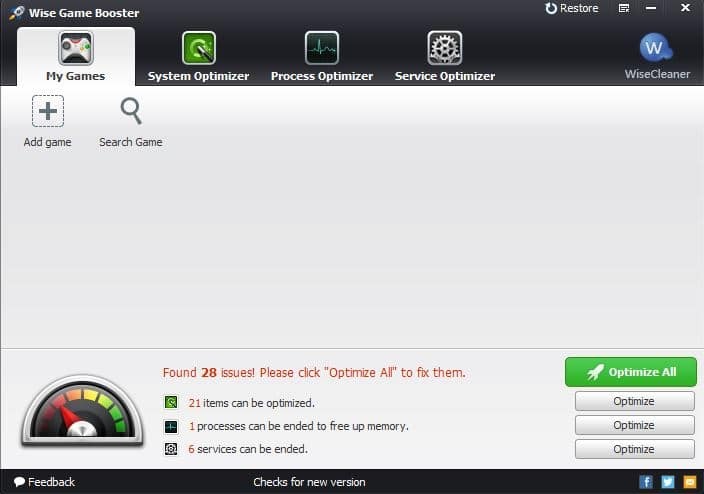 You may switch to optimization tabs in the program to see what each optimization does, for instance which process gets terminated when you run the optimization. 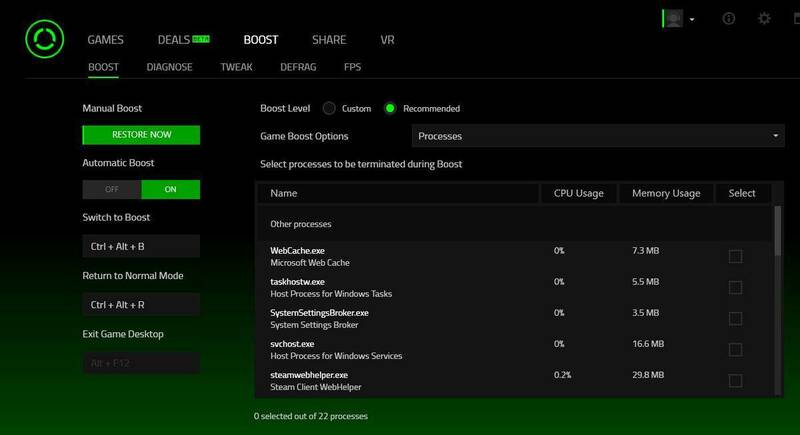 Default results and boosted results are in close range of each other in all tests and it is unlikely that users notice improvements when they run these tools to improve gaming performance. While the difference may be noticeable on older hardware, it is unlikely that the same cannot be achieved by terminating background programs manually before starting games. For instance, if you run a BitTorrent client or large file download in the background, it may impact game performance significantly. Some booster apps offer additional features, like screen capturing which you may find useful. All Game Boosters run on the machine listed above did not improve gaming performance significantly. In fact, performance was lower in some cases when game boosters were run but the differences were always marginal at best. It is fair to say that other tweaks, overclocking comes to mind or the modification of quality settings, may impact gaming performance significantly more than game boosters do. Are Game Boosters helpful when it comes to improving a PC's performance when games are played on it? These programs are the equivalent of just pushing all the rubbish under the carpet, instead of actually keeping on top of it. Good article, but results on an older system would be far more telling. The only thing ‘old’ in the test setup is the video card. The results with a slower cpu, 2GB of RAM, a slow mechanical drive, and Windows XP may yield better results. Still, these ‘booster’ programs are useless. When you look at the things they are disabling, it has no value in the vast majority of cases. “Stop printer support” , “stop tablet input support”, “stop network neighborhood” — WTF?? Those things are meaningless to the game and lie dormant when unused anyway. @Jeff +1, there’s a sucker born every minute. Ones who believe the in adware and who blindly click anything that claims to boost stuff. In most cases, the programs that claim to boost something actually do more harm than good. Some of it is obvious by disabling such services, while others don’t natively run so have zero impact on a game’s performance. On the other hand though Martin never said he was a hardware/software god and know-it-all, he is simply a reviewer, a blogger. Nothing more and not everything he suggests will be a good thing to try on our systems. Much like that odd new process he thought was an invasion of privacy and suggested we all disable/remove it. As it turns out, when I disabled it, I didn’t blue screen crash, I black screen crashed and my system kept rebooting on it’s own. As it turns out that service he suggested we remove/disable was a re-brand of an older component Windows relies on and disabling it caused Windows to crash without interrupts so it kept booting back into safe mode. Turning it back on and the computer never crashed again. @Blue, I fully understand and agree. I know Martin doesn’t always review items that are beneficial, but rather he informs – and did so in this case. The table illustrated quite well that the apps don’t really do anything. I was more responding to other folks who were thinking that perhaps the app might be more beneficial to people with lesser systems. I strongly doubt that they are. I look at the things that these tools are disabling and am just not seeing much that’s going to help anyone. Also on games like WOT that are huge yet somehow stillk only single core supported these programs work wonders. Edp for AMD users who relly on Multicorp use much more than Intel. Also it uses HD way more than ram since it was made so long agao. Result is superslow choppy play and when sounds play or tanks are spotted you get 2 secs of microlag. Then I use this and make sure nothing goes on to my set cores and the game is like night and day. So while most games with badass 4 core+support are fast without doing much, my favorite game isnt. Thank you for this thorough article, Martin. It’s much appreciated. I’m using a laptop that isn’t intended for gaming. I only play ARPG’s like Diablo 3 which play decently but I’ve still tried to get better performance with Razor Cortex Game Booster. It just gave me another headache as to the main culprit for poor performance. Is it just my laptop? Is it Diablo’s servers? Is it Razor Cortex? Of course my laptop’s hardware is the reason and I shouldn’t try and falsely milk it for better performance which isn’t really there in the first place. Just a ghost I’ve put in the machine. Anyone remember those “ram booster” programs they used to sell in the late 80’s and early 90’s? There would be a microchip vector image on the package (looked like a spider to me as a kid I didn’t know what it was) and they said that when installed your computer would run faster…. well we had a 386 no-name and after installing that program and doing their “optimization” our computer ran slower than ever …. I think it was swapping ram to physical memory … which at that time was SUPER SLOW ….. anyhoo these game boosters take me back. bunch of crap is what they are. Thanks for a thorough testing! There’s a lot of discussion going on regarding such tools. Now I know where to refer users that have doubts about boosters. The real question Martin is what software was installed on the system before you did these tests. We hope it wasn’t the test subject machine instead of the one you would normally play games with it. Your right when it comes to disabling the services yourself, using a simple batch file name GameBooter or in Powershell if you prefer. Also thanks for the Star Swarm Stress Test benchmark, didn’t know Steam had benchmark utility’s available. I ran them on a gaming PC. Steam was installed, some games on it but no other major apps and programs aside from this as it was a Windows 10 system that I set up anew recently. Obviously those software are intended to low performance PCs that may have 2 GB of RAM and/or Intel Graphics. As you are using a high performance PC, changes would not be noticeable. These programs asume you are a bad sysadmin and do some tricks to try to prevent the system resources to waste, by pure speculation, if there is nothing wrong (software related, like malware, etc) you will not notice a thing. Very insightful. Now run a more meaningful test on a low end or factory assembled computer and post the results. Until then, this has no bearing on whether or not “Game Boosters” improve performance. You can’t test on one computer and then post your results as conclusive. When preforming a test; you have to test something multiple times with different rigs. Until that happens, I am determining this as inconclusive. Unfortunately,it’s best applicable to older Pcs(CPUs) as it’s definitely unnoticeable with the latest ones. But still it helps to kill off 3 or more processes to provide optimum space for your Processor,whatever generation they maybe from. I think EZ Game Booster is better than all of them. I tested it out other day, huge FPS gain. after choosing what processes to shut off myself, i’m gaining 1,800mb’s of lost RAM. I use Asus Gpu Tweak II that came with my video card and I just figured out that it actually does something I tried to play KSP and I have around 75 to 100 mods installed and if you have ever played you know that you can have a limited number of installed mods that depend on your pc power. I just tried to start KSP and it crashed and I was like why so started trying to figure it when I noticed that GPU Tweak was not running so I started it clicked game mode which is 105% and the game launched without any issue to me this is clear proof that Asus Tweak II does something to increase game performance.I can’t say anything about the ones reviewed in this article but I read it and had to share my knowledge. if you are using a super powerful computer, and you disable, let’s say Windows Update, you won’t notice any difference in performance, because Windows Update may be using 0.01% of your computer resources, if you test them in a minimum specs computer, Windows Update may be using 15% of your resources, freeing that 15% of computer resources will be a huge boost of your speed. sum all the programs that the Game Booster is disabling, how much percent of resources they take depending on the specs of the computer, and you will see the purpose of Game Boosters. make a virtual machine with minimum specs, run the Game Boosters again, and you will see dramatically the difference between them in term of the gaming experience. It’s intuitive that performance gains would be greater on lower performance machines. Have been using Advanced System Care (removed since running Norton) and Game Booster on an Acer 5140 with an early i5 at 2.3 Ghz, 8 Gb of upgraded Crucial RAM, Intel 520 SSD, and maybe convincing myself that Game Booster runs an older CFS3 single thread game better. I don’t have any quantitative test methods so considering the above results I will remove Game Booster and see what difference that makes. I note that it seems to run 4 tasks consistently without auto update and while not a huge extra size-on-disc, it may well be unnecessary. I tested Razer Game Booster and Ashampoo Core Tuner 2 in 3D Mark – Fire Strike and Rise of Tomb Raider benchmark with almost same results. Maybe some prehistorical PC has benefit from the boosters.